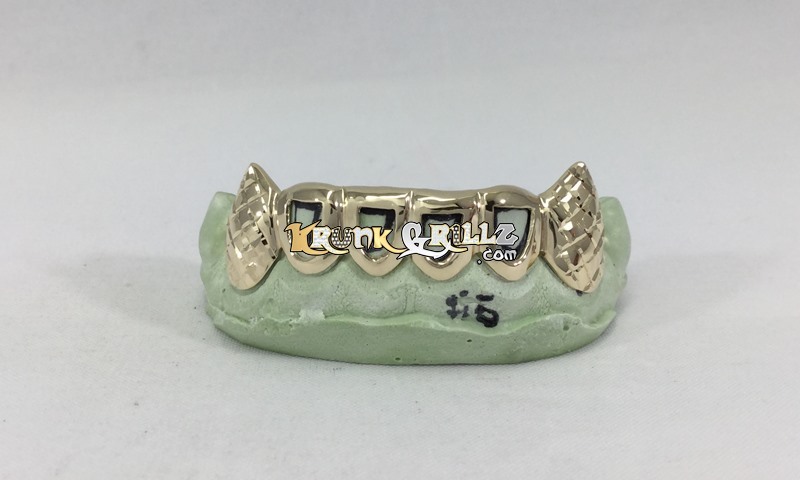 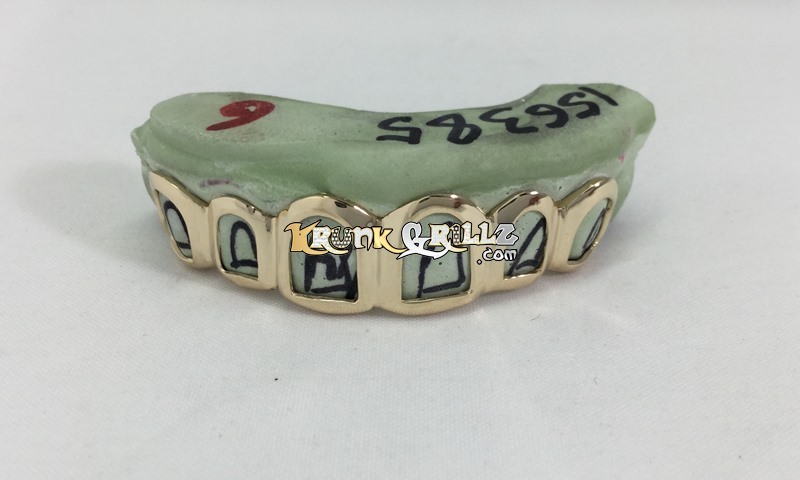 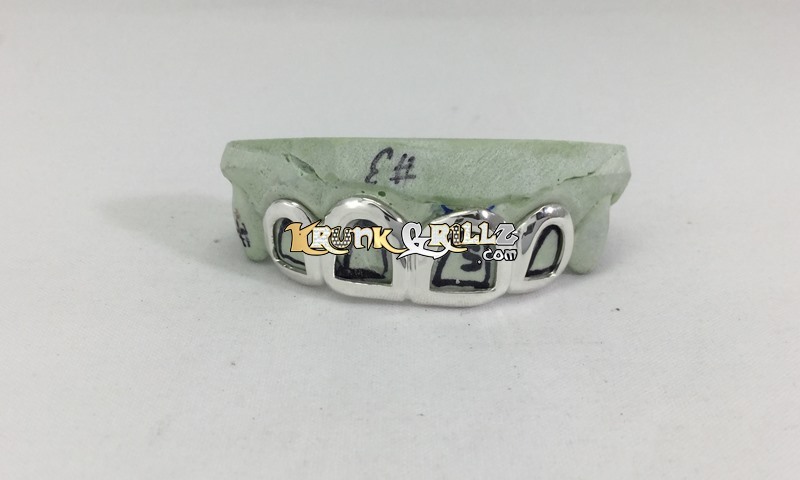 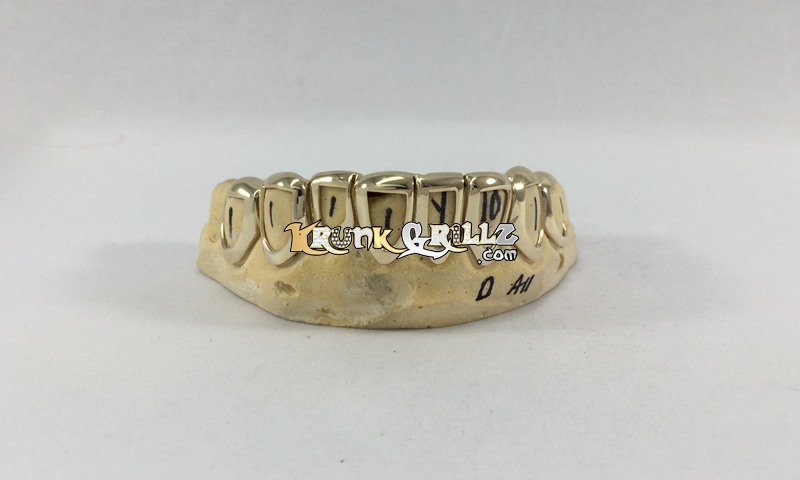 Custom fit open face gold grillz shown in 6 top teeth. 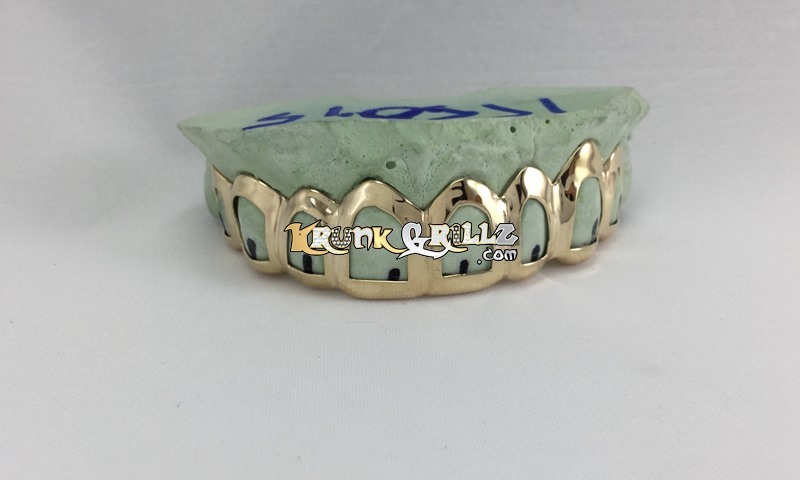 Precision cutout centers with high polished borders. 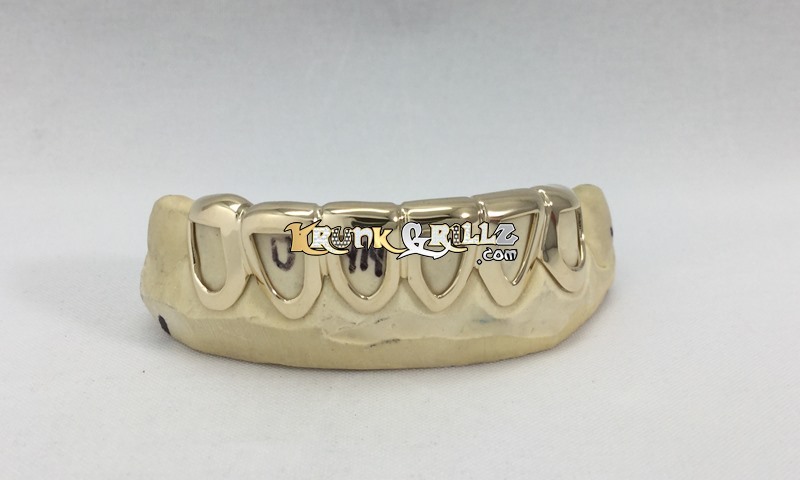 This grillz is good if you want to see your teeth with a gold frame around each tooth.